If I could eat this delicious southern banana pudding every single day of my life I would! Rich, creamy, smooth, and simply delightful, banana pudding is a family classic at our homestead. Whenever we announce that there will be southern banana pudding served after dinner, you can bet your bottom dollar that the kiddos inhale their veggies like nobody’s business. This recipe creates such a velvety texture of sweet pudding and bananas topped with Cool Whip whipped topping. Don’t forget the crunchy Nabisco Nilla Wafers…mmmm! Nosh on this southern banana pudding after dinner, as a snack, or make it for a party. It was a major hit at our son’s fourth birthday extravaganza. Honestly, I think the kids wolfed down the southern banana pudding more than the ice cream and cake! I had to make sure to hide a serving for my husband and myself. For real, this banana pudding recipe is THAT good! PLEASE VISIT THE NEXT PAGE FOR THE SOUTHERN BANANA PUDDING RECIPE. 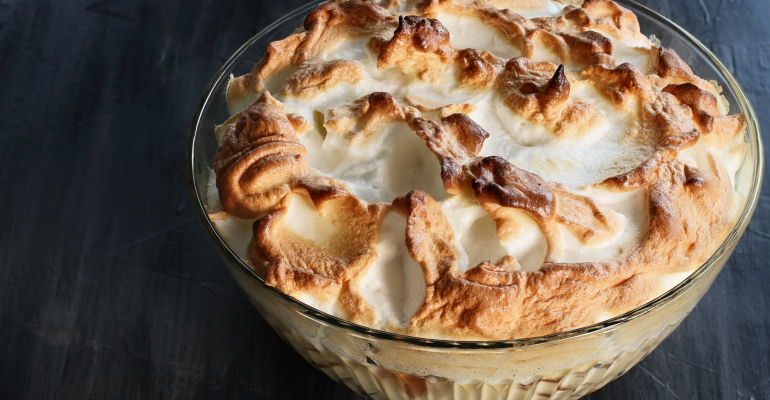 Quick Tip: Make this southern banana pudding in a clear dish so guests can see the pretty layers.